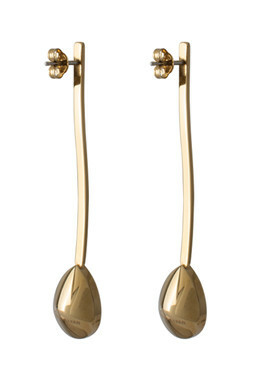 The studded VERONA earrings are the perfect showstopper. 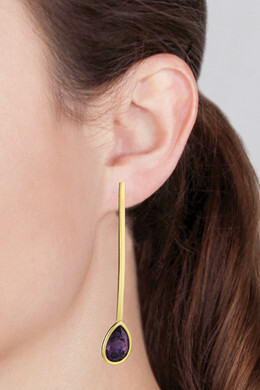 Whether you are going out or simply want to steel attention, these are the ones for you. The dropshaped Swarovski crystal looks beautiful against the stainless steel design. 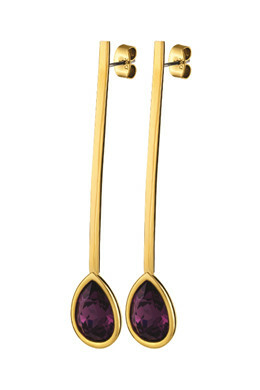 Shown here in a gold toned finish with a dark purple crystal.